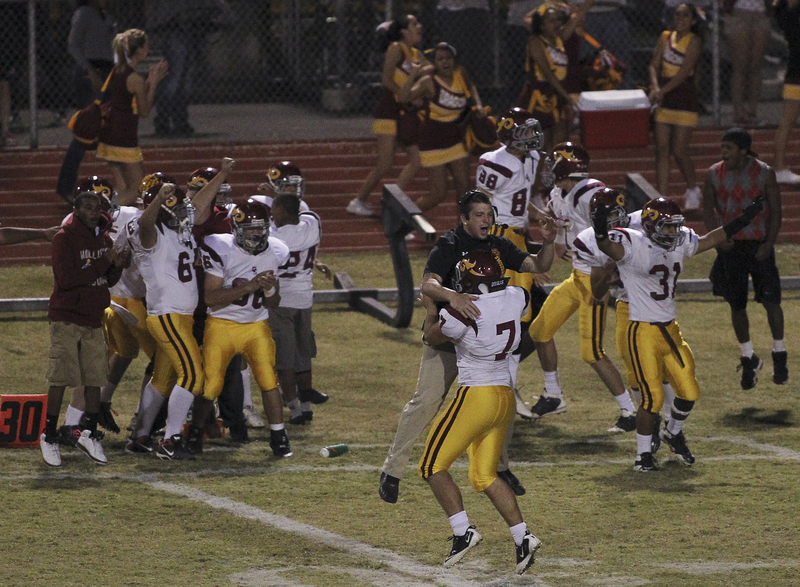 JASON BEAN/LAS VEGAS REVIEW-JOURNAL Del Sol field goal kicker Dylan Lindemann, #7, celebrates with his team after kicking the game winning field goal with 12 seconds left to beat Green Valley 48-47 on Oct. 21, 2011. 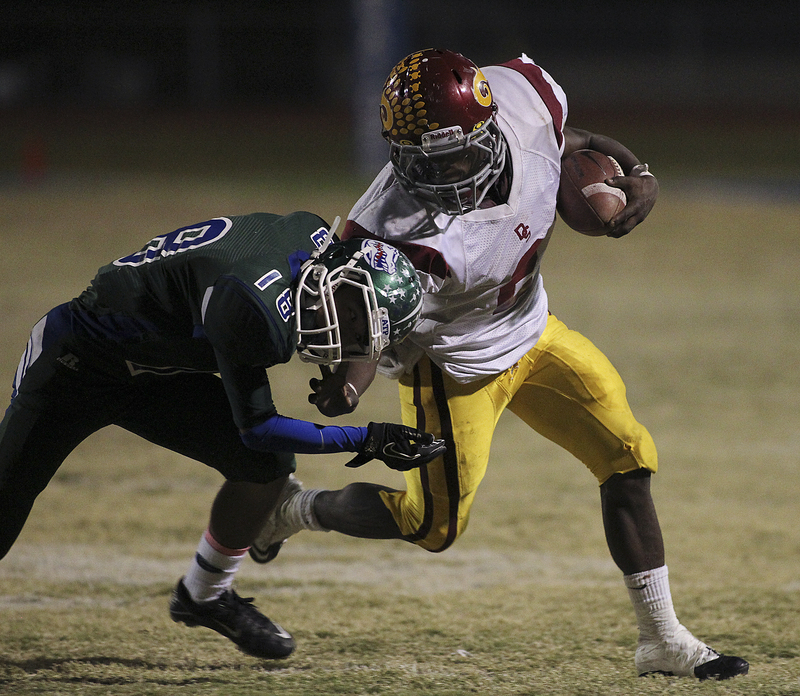 JASON BEAN/LAS VEGAS REVIEW-JOURNAL Del Sol's Chris Marshall tries to escape the tackle by Green Valley's Tevis Labrador during the second half in Henderson on Oct. 21, 2011. 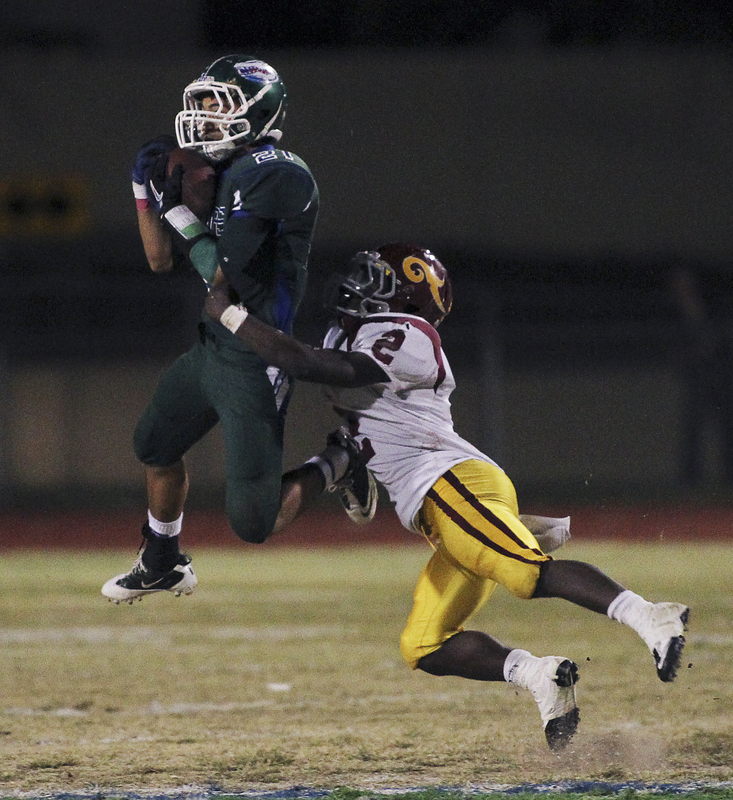 JASON BEAN/LAS VEGAS REVIEW-JOURNAL Green Valley's Gio Hernandez intercepts a pass intended for Del Sol's Chris Marshall near the end of the first half at Green Valley in Henderson on Oct. 21, 2011. 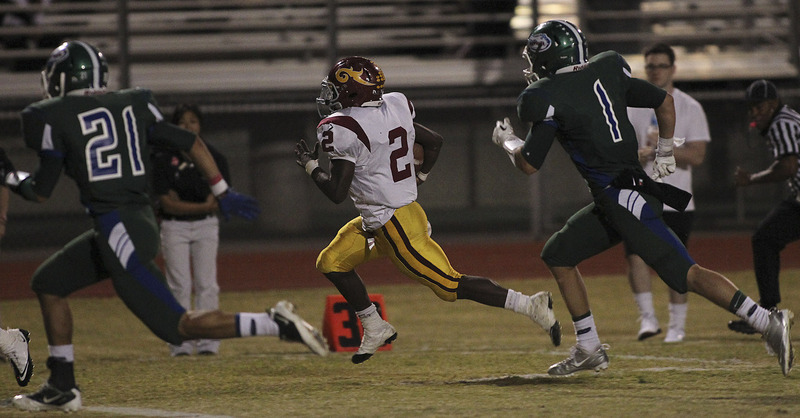 JASON BEAN/LAS VEGAS REVIEW-JOURNAL Green Valley's Aaron Love runs past Del Sol's Dylan Greer in Henderson on Oct. 21, 2011. 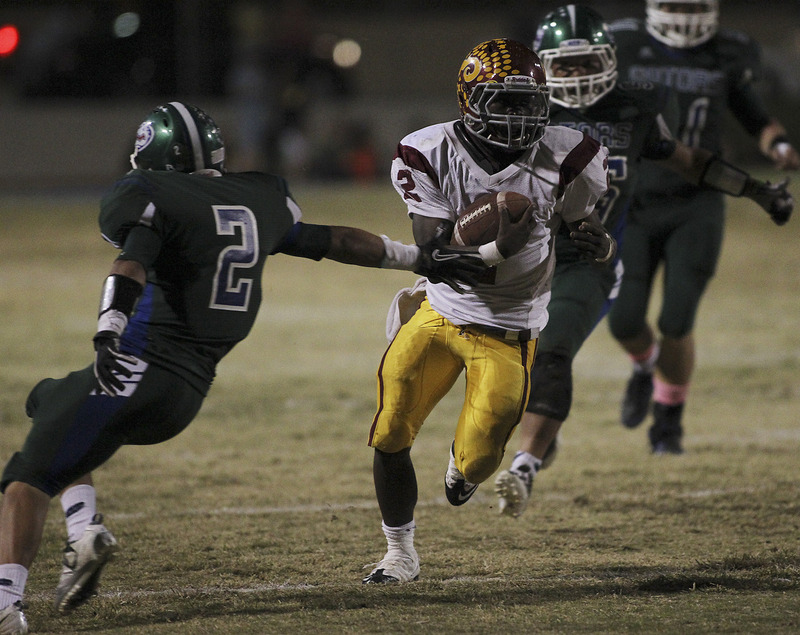 JASON BEAN/LAS VEGAS REVIEW-JOURNAL Del Sol's Chris Marshall runs for a long gain against Green Valley on Oct. 21, 2011. 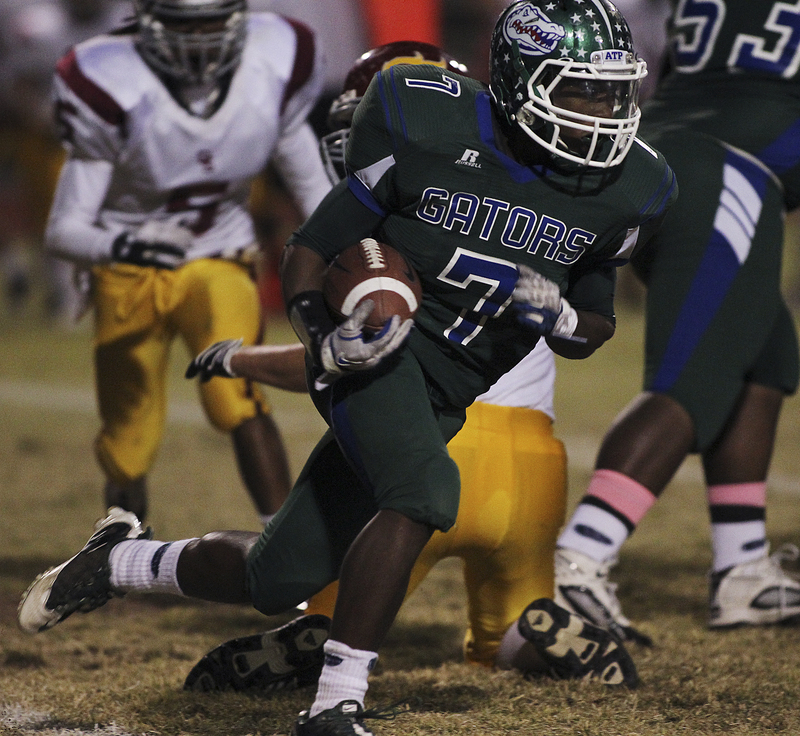 JASON BEAN/LAS VEGAS REVIEW-JOURNAL Green Valley's Aaron Love runs past the Del Sol defense during the second half in Henderson on Oct. 21, 2011. 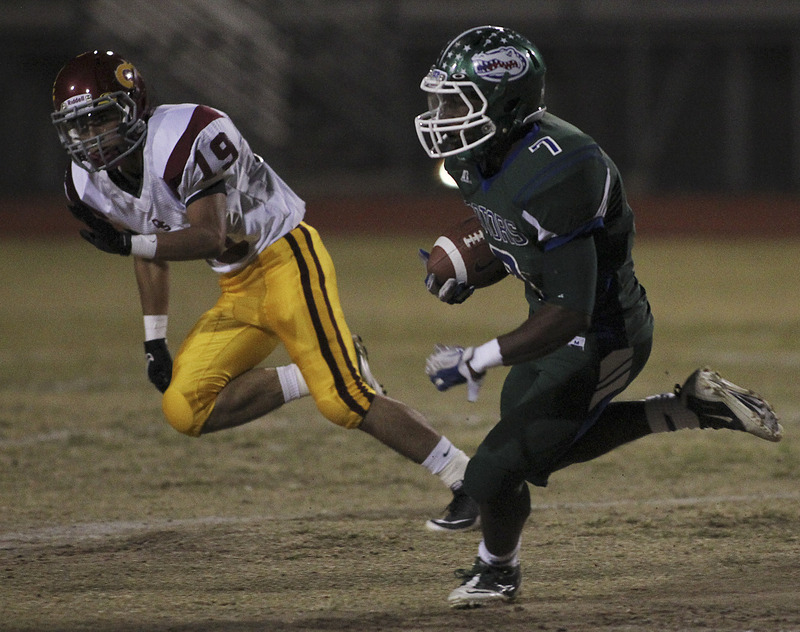 JASON BEAN/LAS VEGAS REVIEW-JOURNAL Del Sol's Chris Marshall gets past Green Valley's Sean Ferraro on Oct. 21, 2011. 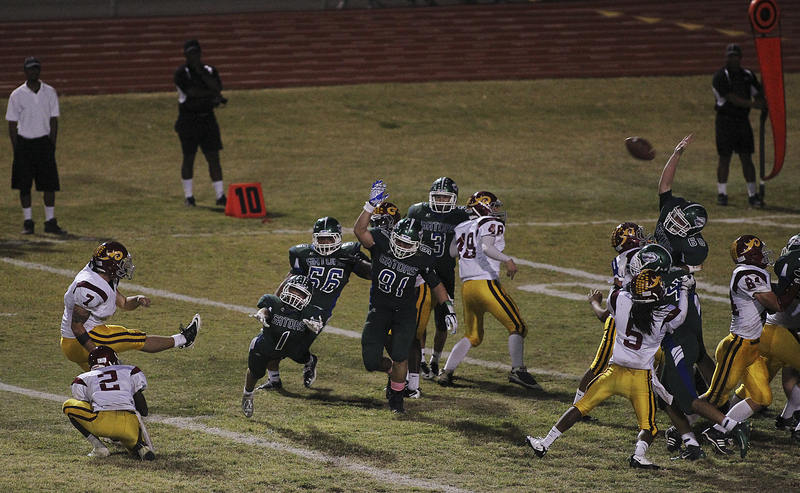 JASON BEAN/LAS VEGAS REVIEW-JOURNAL Del Sol's Dylan Lindemann kicks the game winning field goal with 12 seconds left to beat Green Valley by the score of 48-47 on Homecoming in Henderson on Oct. 21, 2011. 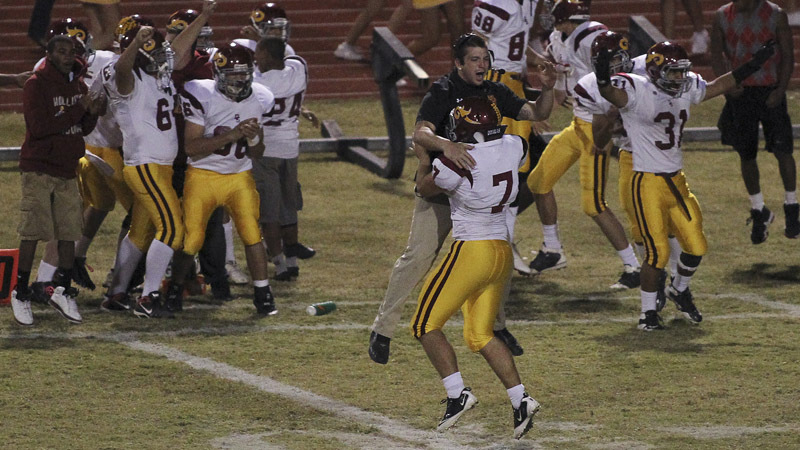 Del Sol defeats Green Valley 48-47 in Henderson on Oct. 21, 2011.